W ith the end of the Polish harvest season in sight, Michał Gulczyński from Polfarm, said it had been a good season this year and that everything went to plan. The quality is good and average sizes are between 20-40. The Polish harvest runs from the beginning of June through to the end of November, when the company offers carrots from the cold store for the remainder of the year. Gulczyński said that, although most of their production is sent out for the domestic market, they are always looking to enter new markets, Europe in particular. Along with carrots, the company also produces leeks, onions and red beets. 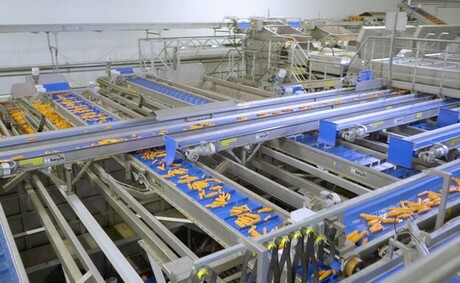 Polfarm recently expanded their carrot handling facility with a custom-built washing, grading and processing line, which has meant that they are able to handle 40 tonnes of carrots per hour. As a result, they are able to send out 12 trucks of carrots daily. "We have a large industrial ozone installation and use the ozone water to wash all of our vegetables. Washing the vegetables in this way keeps all of the germs, viruses and bacteria away and increases the shelf life. We are proud to say that we are the only growers in Poland using this system at the moment. In addition, we also use hydro-cooling units which also increases the shelf-life and we don't add any chemicals to the water. Food safety is really important to us." shared Gulczyński. 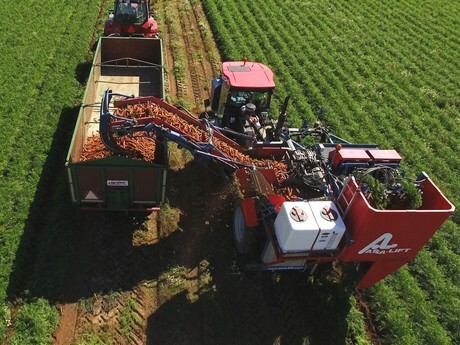 Although conventional carrots remain the bulk of the business, Polfarm also offers small quantities of rainbow and bio carrots. "We are definitely interested in increasing our organic production. I have heard that, although organic production is currently one of the smallest in Europe, the rate of growth is the highest, so I think that if this growth continues, we will be one of the largest producers in Europe. It is growing very rapidly." said Gulczyński. Demand for organics in Poland is increasing and a lot of the supermarkets have been introducing new products, which is increasing customer awareness.